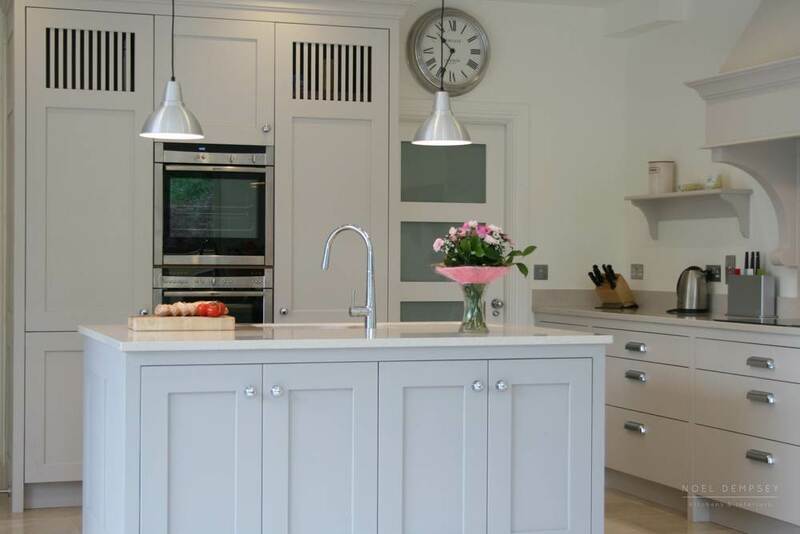 From our Plain English Collection, this hand painted kitchen has been exquisitely made by our team of cabinet makers. 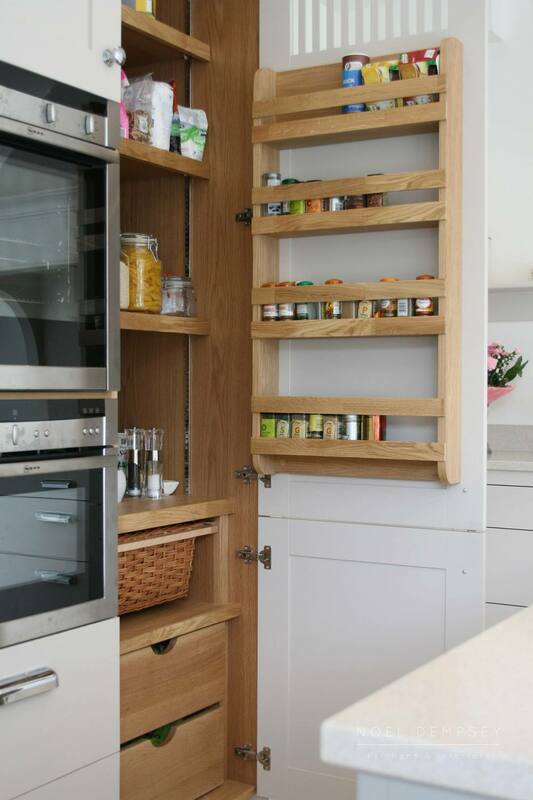 The kitchen cabinetry has been hand painted on site to ensure a perfect, seamless finish. The quartz work surface is both stain and scratch resistant, making this kitchen a functional space for entertaining. Colour: Farrow and Ball 'Skimming Stone' with contrasting 'French Grey Dark' from Little Green.